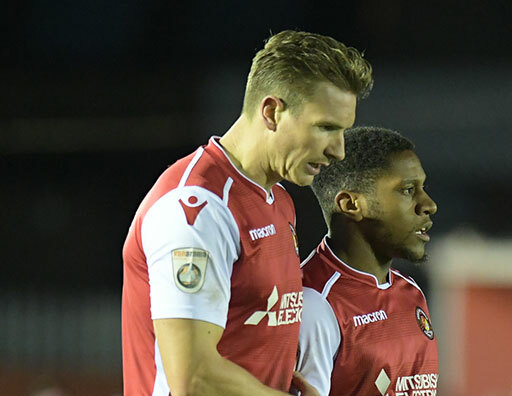 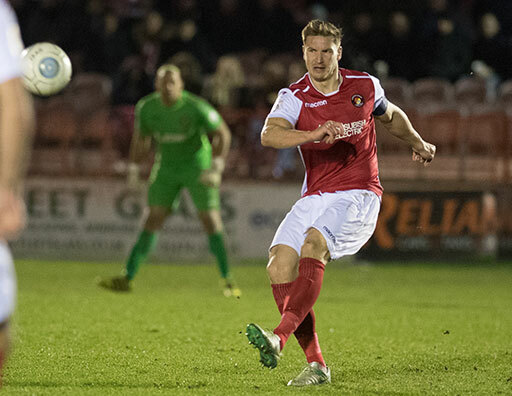 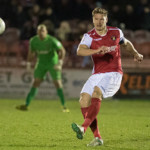 An experienced central defender who was formerly vice captain at York City, the 6ft 3in player is an imposing fixture in Fleet’s rearguard. 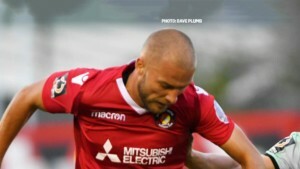 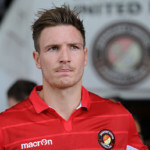 He won the Conference with hometown club Aldershot Town, also turning out for Chertsey Town, Staines Town and Salisbury City on loan during a six-year spell with the Shots. 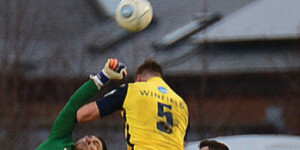 He made his Football League debut for them in 2009 and in 2010/11 arrived at Wycombe Wanderers for a £25,000 fee. 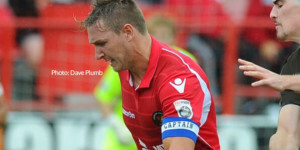 There he enjoyed further success, playing regularly in the side that won automatic promotion to League One. 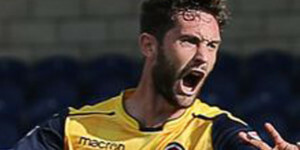 Dave played another two years for Wycombe before he was snapped up by Shrewsbury Town for one more season at League One level in 2013/14. 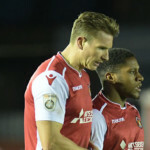 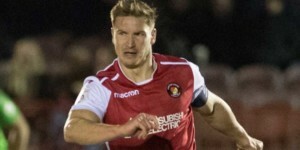 A move to York followed and, with a spell on loan at AFC Wimbledon in between, Winfield clocked up more than 50 appearances for the Minstermen. 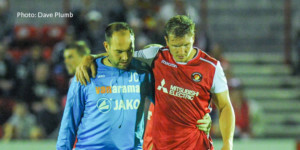 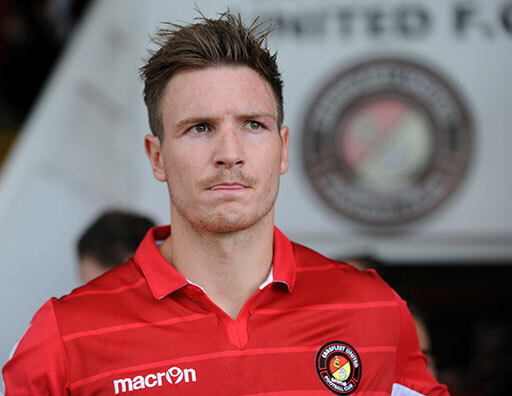 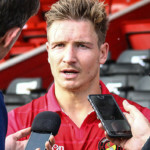 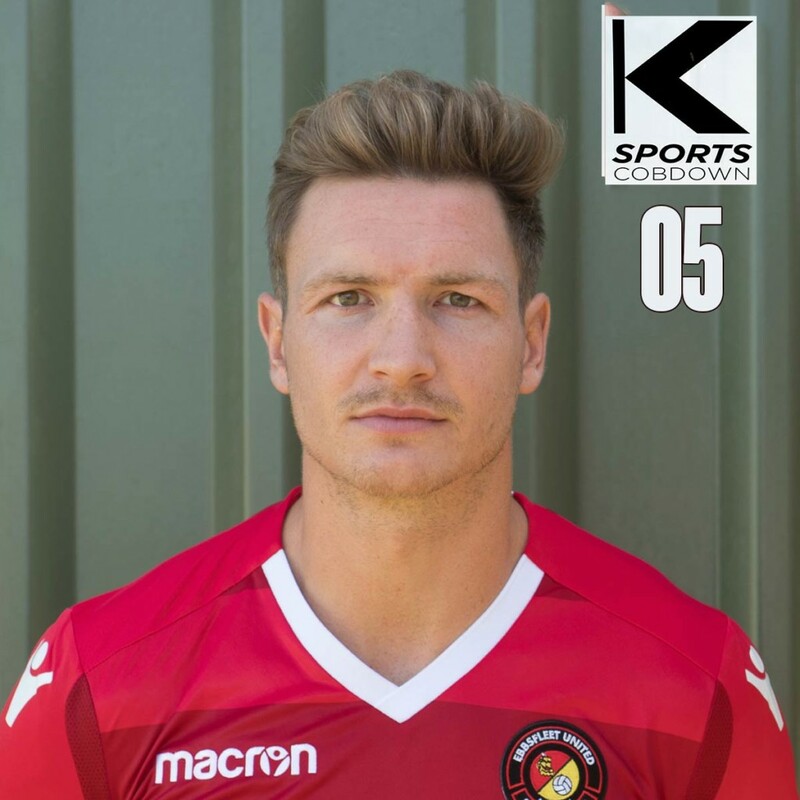 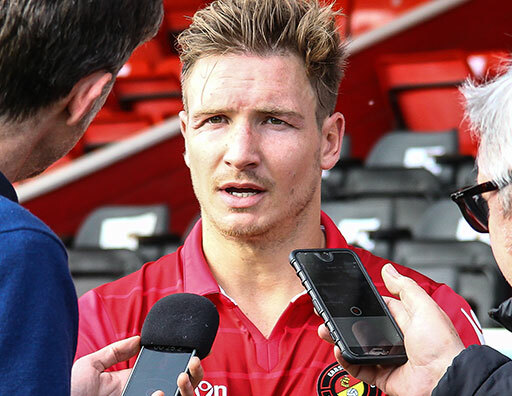 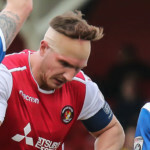 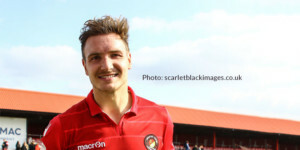 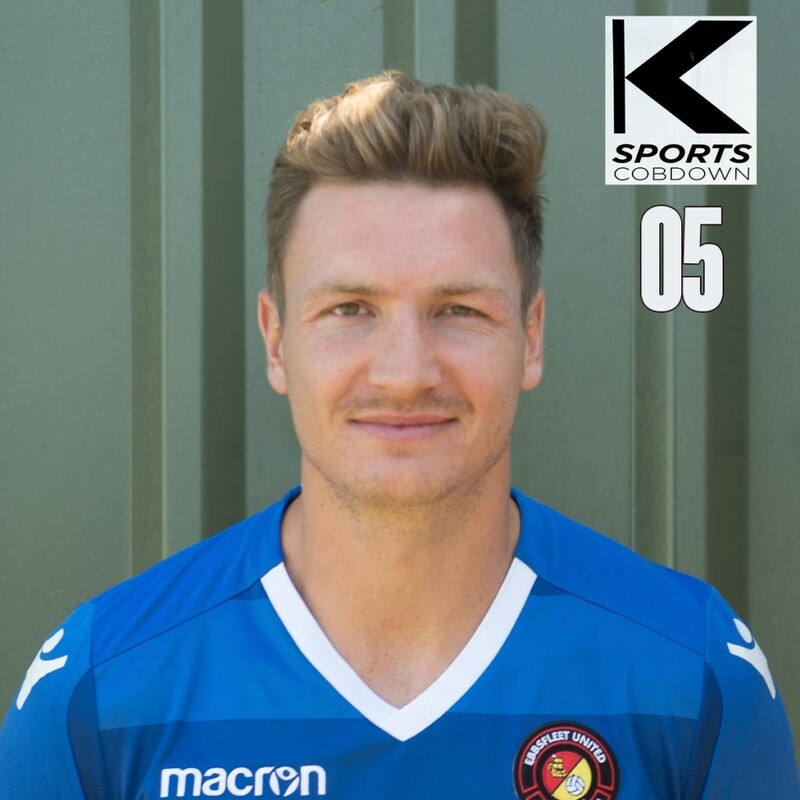 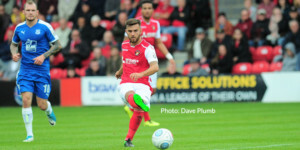 As a defensive lynchpin of the City side, he won the Clubman of the Year trophy at the end of the campaign but rejected a new deal to return south and sign for the Fleet in June 2016. 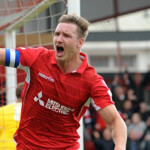 He capped his first season with the equalising goal in the promotion final. 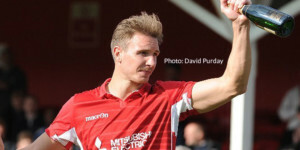 Winner Winfield gets a buzz at both ends!